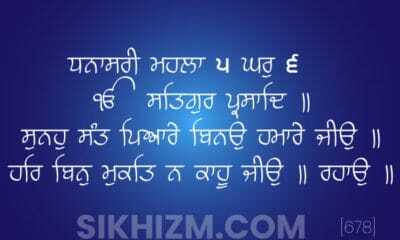 Hukamnama, is composed of two Persian words Hukm and Namah. 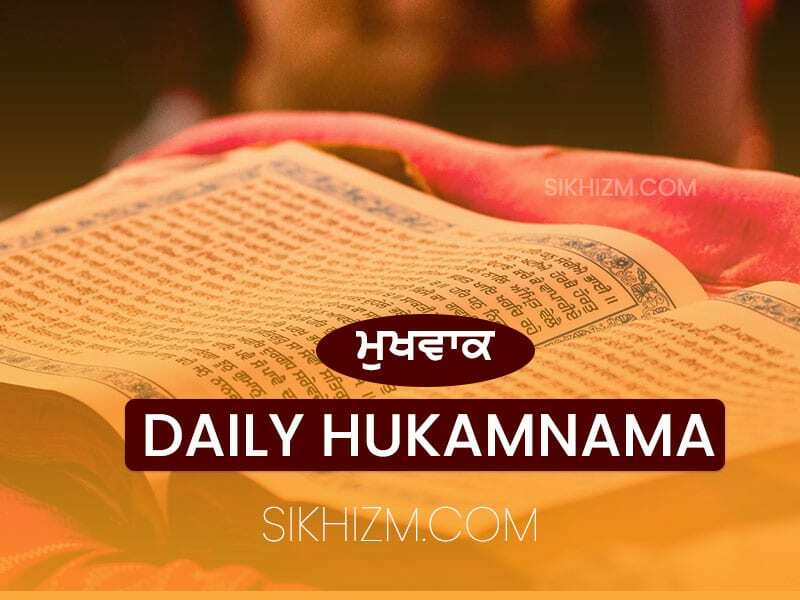 Hukam means Command or Order and Namah meaning Letter, that entirely defines the Hukamnama as a ‘Letter of command’. 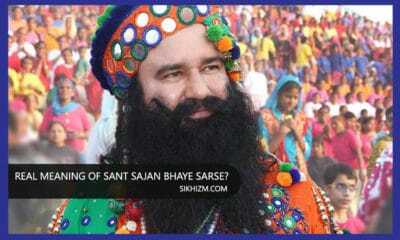 Sahib Shri Guru Granth Sahib is installed at the highest level in a Sikh’s beliefs. 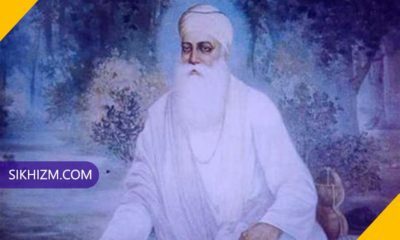 Religios services of a true Sikhs or Gurmukhs are constructed of Shabad kirtan (singing hymns from Guru Granth Sahib Ji in praise of God), ardas (community prayer led by Paathi Singh or any Gursikh person, while everybody stands with folded hands), and a hukamnama (the Guru’s Command) for the day. The Daily Hukamnama / Hukmnama / Mukh vaak or Mukhwak: The presence of the Adi Granth is mandatory at important religious ceremonies. 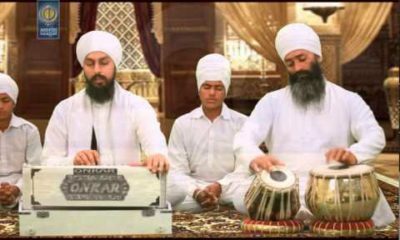 Before the culmination of a service, it is opened by the granthi at random, and the first hymn on the left-hand page is read out to the sangat, this read- ing is called the hukamnama (guru’s order for the day), and it signifies culmination of the service, with the authority of the guru as personified by the Adi Granth.. Second Hukamnama is known as ‘Sandhya Vele Da Hukamnama’ which is taken while opening Sahib Shri Guru Granth Sahin in the evening paath. 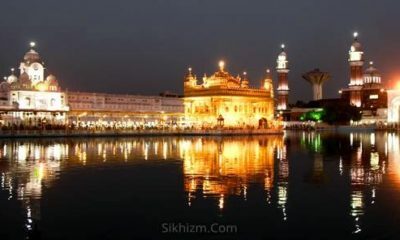 We are not posting ‘Daily Hukmnama’ from Sri Darbar Sahib, Harmandir Sahib Amritsar in routine but on random days. 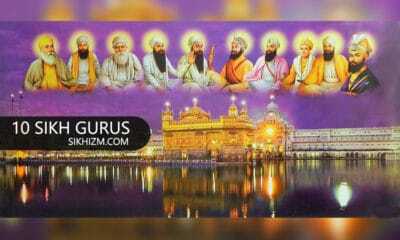 You can read Hukamnama Everyday on best resources like SIKHNET and SGPC’s Official websites. 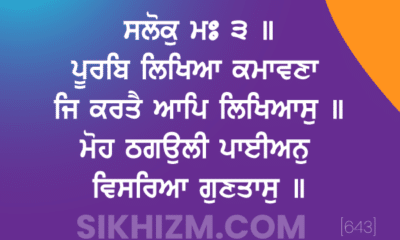 We post Hukamnama from Harmandir Sahib in both the original Gurmukhi and English translated version on Special days like Gurpurabs, Sangrad, Shaheedi Divas etc. 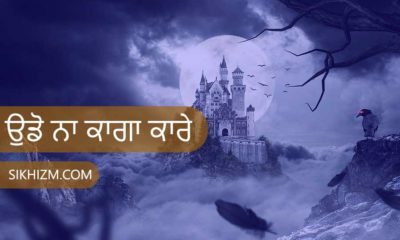 A hukamnama is, in fact, a letter of command or instruction written by the Sikh Gurus to Sikh Sangats or prominent Sikhs. 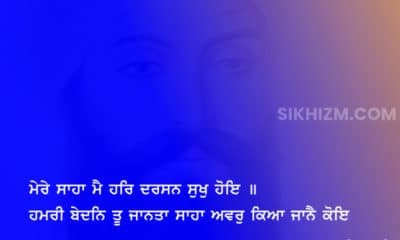 Guru Tegh Bahadur called his letter a hukamnama. But the hukamnamas collected in these works do not belong only to this category. 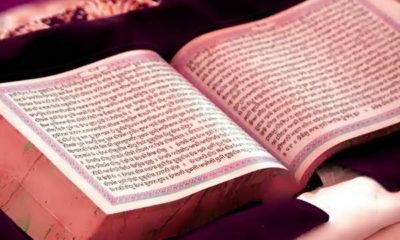 Not only letters issued by the prominent Sikhs on behalf of the Guru and by the members of Guru family but also the ones issued by Banda, Mata Sundari and Mata Sahib Devi after the demise of Guru Gobind Singh are there. Even the edicts issued on behalf of the Khalsa and also by the Takhats are categorised as hukamnamas. 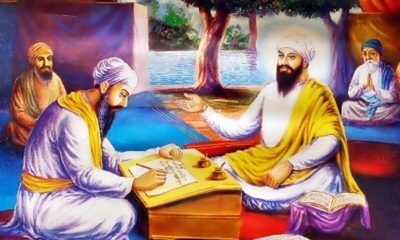 Literally, Hukamnamas were documents sent from the time of Guru Hargobind to Sangats or individuals, giving instructions or requesting assistance. 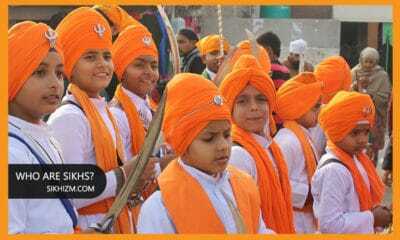 The Hukamnamas are an important source of Sikh history. 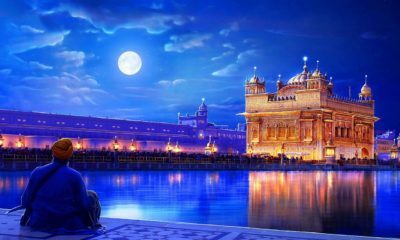 From the very beginning, tremendous amount of religious importance has been attached to the Hukamnamas issued by the Sikh Gurus. These Hukamnamas were both received and obeyed by with great religious fervour and respect by the Sikh congregations assembled in the Gurudwaras to whom they were addressed and read out aloud. Sikhs considered adherence to these Hukamnamas as their religious duty. The Hukamnamas were issued for a variety of reasons from time to time, such as those relating to the Guru’s kitchen, donation to run religious centres etc. 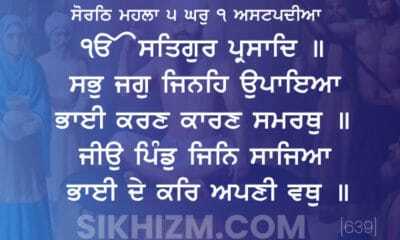 As Shri Guru Granth Sahib is present master of every Sikh, Everyone should follow the words of Guru Granth Sahib Ji which we get in the form of Daily Hukamnamas.